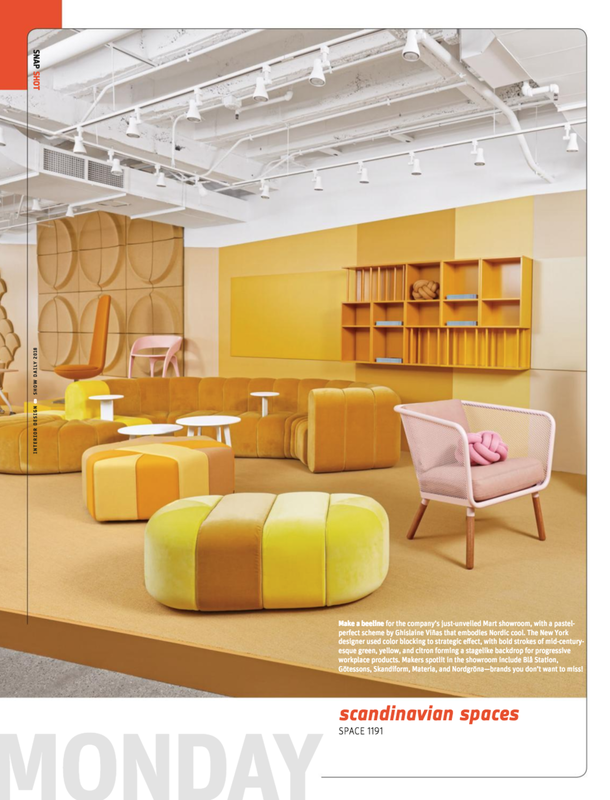 At Neocon, designer Ghislaine Viñas created the Scandinavian Spaces award-winning showroom with pops of color. Each of our nine brands found their place among a sea of yellow and other colors. Bright and cheerful shades are taking on life in the office space and in our showrooms. Feature in Show Daily, by Interior Design.